Adults could learn a thing or two from these kids. Losing is hard. Almost everyone knows that. But less considered is how to win with class. 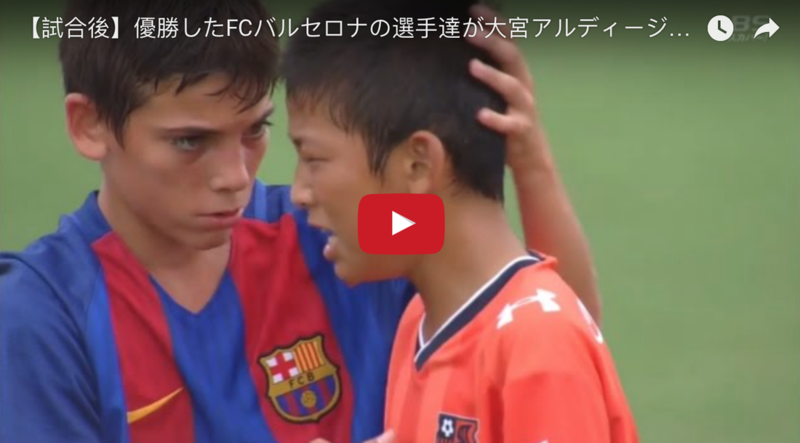 Barcelona’s under-12 team gave a master class in the latter over the weekend, when they beat Japanese club Omiya Ardija, 1-0, in Toyko, Japan. The players on the opposing side were brought to tears after they lost in the international tournament. But rather than mock them, the Barcelona players consoled them, giving the players words of advice and hugs to boot.